Since inception, we are engaged in catering to the variegated requirements of the customers by bringing forth exclusively designed Kirloskar Fire Pumps. Under the offered range, we provide Kirloskar Fire Pumps, Diesel Engine Fire Pump, Kirloskar Diesel Engine Pumpset and Kirloskar Pumps. 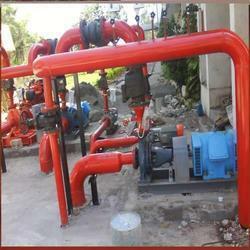 We provide these fire pumps to patrons as per their given details so as to ensure their higher level of satisfaction. Moreover, we manufacture these fire pumps by making use of the best grade raw material so as to ensure their durability. With the expertise of our professionals in this domain, we are able to bring forth a quality approved range of Kirloskar Fire Pumps. 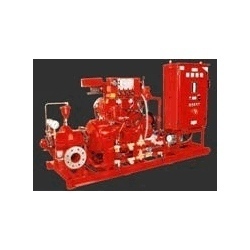 Patrons are increasing the demand of offered fire pumps as these are manufactured using high quality raw material in adherence with the established quality standards of the industry. With the thorough knowledge of the varied aspects of the market, we have been able to provide the customers with a commendable range of Kirloskar Fire Fighting Pumps. Our offered pumps are able to stand tall on the expectations of patrons as these are manufactured using optimum quality raw material as per the established quality standards of the industry. Post production, we check these pumps so as to ensure their flawlessness. We are into manufacturing, supplying, importing and trading a comprehensive assortment of Jowar Sheller. High in capacity, these machines are capable to separate the jowar cob from its body without breaking. Optimum in performance, our offered jowar sheller is can separate the jowar from the its body and throw the jowar cob at the same time. 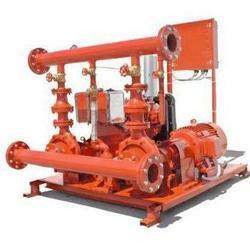 We are instrumental in catering to the variegated requirements of the customers by bringing forth uniquely designed Kirloskar Fire Pumps that are mounted on common skid. The controller of these pumps is FM approved or UL listed and manufactured by making use of the best grade raw material. 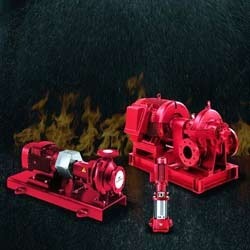 Looking for Kirloskar Fire Pumps ?